Dogs are arguably the world’s most popular pet. In the USA more than 43 million households, or about 35%, are dog owners (according to the US Veterinary Foundation). We welcome them into our homes and treat them as part of the family. But dogs can carry ticks, which poses a couple problems for the families who love them. First, they can be afflicted with tick-borne illnesses like Lyme disease just like humans can. Second, because of their fur and inability to check themselves, they can easily carry ticks inside the house, where they could become issues for humans. 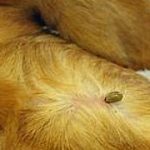 Ticks are easily concealed by a dog’s hair, especially the smaller, dangerous ticks like the Blacklegged tick. We like to keep ticks off our pets, but some of the most tried-and-true methods of repelling are chemical-based, and potentially toxic in the wrong situations. 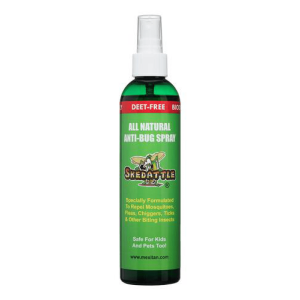 More and more, we have been getting questions from readers about natural repellents that they can use on their dogs. There are a few natural ways to repel ticks from your dog. We will take a look at some of the more popular ones here. First, it is important to note that tick repellents are considered to be pesticides, natural or otherwise. A large number of the tick repellents that are considered to be natural are derived from plants or fungi. “Everything in moderation” is a great mantra — even oils and chemicals found in nature can sometimes be harmful in too high a concentration. 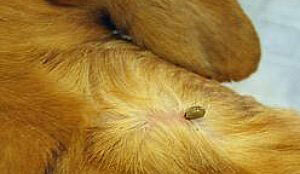 Second, it goes without saying that ticks can be a serious problem, and efficacy is very important. It can be tempting to talk to someone at a backyard party who says “I used ABC essential oil on my dog, and now he has no ticks!” That is great, but not proven. Don’t take chances when it comes to the carriers of such diseases as Lyme. The Center for Disease Control (CDC) reports that during the 1990’s many of the natural tick repellents were evaluated by the Environmental Protection Agency to see if they were safe to use. The products that were found safe to use were basically derived or extracted from natural plants to get the plant oils. These oils were extracted from plants such as peppermint, garlic, eucalyptus, thyme, and more. The EPA decided that the repellants that used these plant oils were safe for use around residential areas and did not pose any risk to humans, animals or plant life. Therefore, the EPA does not require natural tick repellents made from essential plant oils to be registered. Just as importantly, the EPA does not determine how effective the products are for their intended use. We have to rely on other studies, and cases where there is enough strong anecdotal evidence to see a trend emerging. There are literally hundreds of products available that claim to be effective at repelling ticks, fleas, and other pesky insects, and as a consumer it can be hard to try and choose which products to buy. 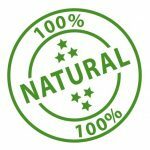 We can’t promise total effectiveness from any or all of these products, but we found a good selection of all natural products that we thought were worth trying, or investigating further. Each has evidence that, to some degree, suggests it will help your dog steer clear of ticks. Perhaps our top choice in this category is the product made by Botanical Solutions. It contains a specialized blend of botanical extracts designed to repel ticks, and because it relies on plant-based extracts, it is considered natural. The active ingredients appear to be a blend of citric acid, peppermint oil, lemon grass oil, rosemary oil, water, lecithin, and potassium sorbate. Tick Guard is actually designed for human use, but can also be used on dogs — and many people do. It designed to be applied to your skin and clothing. It has no harsh chemicals and is considered to be safe for the use on children as well as adults. As for pets, most people simply spray the product on the dog’s hair, avoiding the face, mouth and eyes. It comes in a nice, compact 4 oz spray bottle, small enough to easily fit in a backpack, a small bag, or even a loose pocket. Users typically like the smell – it has a quite neutral scent overall. Find it here. If you are looking for an all-natural product made specifically for dogs, EcoBug is a good choice. It is intended to be used for prevention of fleas and ticks, not for eradication of existing populations that might be living on your dog. Ingredients include Castor Oil, Clove Leaf Oil, and Peppermint Oil, among others. We like that the smell of the spray is one that humans can tolerate well, given that this is designed for dogs. The smell is not strong, and our field tests suggest that this does a very good job of keeping both fleas and ticks off of a dog. You will need to reapply regularly, but that should not be a problem since the spray doesn’t really saturate the pet. We just wish it came in larger quantity bottles than 8 oz. and 4 oz bottles. Find it here. This product is manufactured by Skedattle and is all natural and safe to use on children and your pets. It contains essential oils from citronella plants, lemongrass, peppermint, vanillin, and it contains no Deet or harmful chemicals. It also has no fragrance so the odor is not overpowering or offensive. 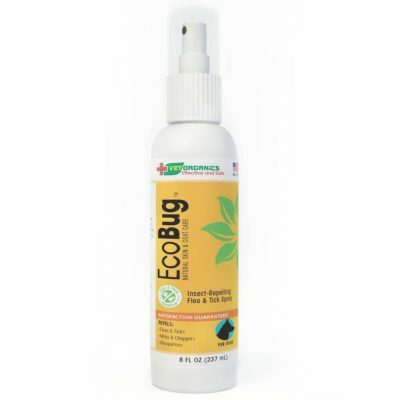 It is designed to be a repellant for mosquitos, fleas and ticks. 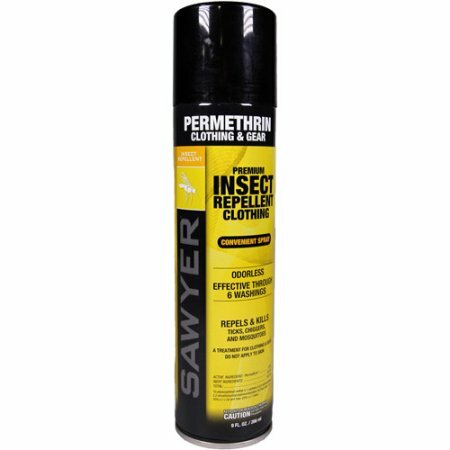 Manufacturer’s studies indicate that this may be even more effective than Deet, but we take it with a grain of salt. Still, it seems to work quite well on both humans and pets, much like the Botanical Solutions product that was at the top of our list. Note: frequent re-application is necessary. We would err on the 1-2 hour schedule, which will require going through quite a bit of the spray if you are outside all day. Find it here. We wanted to provide an overview of other naturally-occurring oils and products that you may consider in your battle against ticks. A huge disclaimer — we have not seen enough science to conclusively say that one or all of these work, but there is mounting evidence that they may have tick-repelling properties. Additionally, not all are naturally intended for use on pets, so you may need to get creative with how you apply them to your canine! The Oxford Academic Journal of Medical Entomology reported that garlic might require several applications in order to control tick activity, but it could be a means of providing an option for controlling ticks that posed a minimal risk to humans and their pets. According to the studies they performed they found garlic to be a short term control solution of the tick nymphs. For the purpose of tick control garlic oil extracted from the plants was used to treat lawns and gardens. It was used in attempts to repel the blacklegged tick and is exempt from being EPA registered. 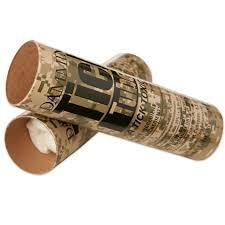 This product can be purchased commercially. This mixture is EPA exempt because it is not harmful to plants, animals or humans. It is designed to repel the blacklegged ticks, and can be used on the skin, on clothing, on lawns and on gardens. It is commercially available. A complete study of this essential oil mixture was performed by several researchers and their findings were written up and published on the United States National Library of Medicine; National Institute of Health website. According to the CDC the EPA registered insect repellent that contains 2-undecanone can help to control diseases spread by ticks and mosquitos. 2-Undecanone is gotten from the leaves of wild tomato plants, Lycopersicon hirsutum. At this time the only commercially produced product that has been registered by the EPA that contains 2-undecanone as an active ingredient is Bite Blocker with BioUD formula. Homs LLC produces the Bite Blocker and when applied it is supposed to provide five hours of protection from mosquito bites and two hours of protection from tick bites. The product contains 7.75% of the 2-undecanone as an active ingredient. The EPA registration number for this product is 82669-2. It is designed to repel the blacklegged tick and the lone star tick. It can be applied to clothing, skin, lawns, and gardens. Nootkatone is derived from the essential oils gotten from Alaska yellow cedar trees, some herbs, and citrus fruits. It is suggested to be an effective repellent for ticks, the blacklegged tick primarily, and various other arthropods. The suggested usage for this product would be for applications on the skin, clothing, lawns or gardens. The EPA is currently reviewing Nootkatone and the registration has been filed and is still under review. The United States Department of Agriculture reported that a patent was issued in May of 2008 for the compound isolongifolenone as a repellent for ticks, mosquitos and other biting insects. According to laboratory tests performed by Aijun Zhang, an ARS chemist that works in the Invasive Insect Biocontrol and Behavior Laboratory in Beltsville, Md., pine oil is a naturally occurring compound that is more effective at repelling biting mosquitoes than the synthetically produced Deet. The pine oil compound was also found to repel ticks very effectively, and possibly more effectively than Deet does. It shares many qualities with Camphor Oil. According to the National Cancer Society catnip just might be more effective at repelling mosquitos than Deet, and it shows great promise as a repellent against ticks. The essential oil in catnip that is responsible for the repellant properties is nepetalactone. This oil is also what gives catnip its distinctive and characteristic odor, and the one that drives some cats absolutely crazy. We should note that this research is quite dated, and we are not aware of newer studies that would validate these findings. Catnip is available as an essential oil, which can be added to water for dilution. Find it here. So why do we want to keep our dogs tick-free? Perhaps the biggest reason is that they can get Lyme disease just like a human can. 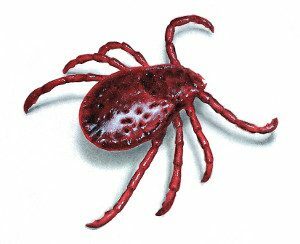 After a tick is attached for at least 24 hours (per the American Kennel Club), and infected tick can transmit Lyme to a dog. A period of time later, as much as 5 months after the the bite, the dog may show symptoms such as fever, lethargy, and joint pain. Essentially, the disease manifests in a way somewhat similar to the way humans experience it. Your vet can test for Lyme disease, but the testing methods tend to have a higher-than-ideal probability of false negatives, meaning that even if the test shows no Lyme disease, your dog may have it. Treatment includes a long course of antibiotics. As with humans, though, Lyme disease is an unpredictable disease that can display chronic symptoms for a long period of time. The AKC provides more information, here.